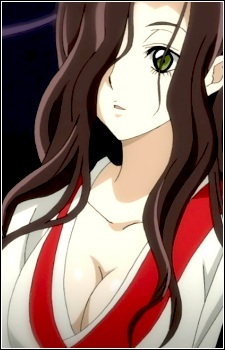 Kejourou is a yokai who uses her hair to fight and most frequently handles kitchen duties around the Nura household. The members of the Kiyojuji Paranormal Patrol frequently mistake her to be Rikuo's older sister. While alive, her name was Kino and she was friends with Kubinashi. As a member of the Rihan's Night Parade, she traveled and fought with Kubinashi.